Understand what we mean when we say we're out to solve the "White Shark Puzzle" and why it's so important to the overall health of the ocean. When we started working in the Northwest Atlantic Ocean back in 2012, very little was known about white shark behavior in this part of the ocean. So we set out to gather more information on these animals and solve what we call the “White Shark Puzzle”, where the puzzle pieces represent all of the critical habitats white sharks visit during their migrations such as: foraging, mating, and birthing sites. Why did we set out to gather this information? Sharks are the balance keepers of our oceans so if we lose our sharks, we lose our oceans. By gathering data on the sites most critical to the survival of white sharks, responsible ocean management policies can be enacted to protect them. Prior to starting our work, only limited data was available from PSAT and external acoustic tags deployed by scientists. This data was not enough to give us the full picture needed to understand white shark behavior. 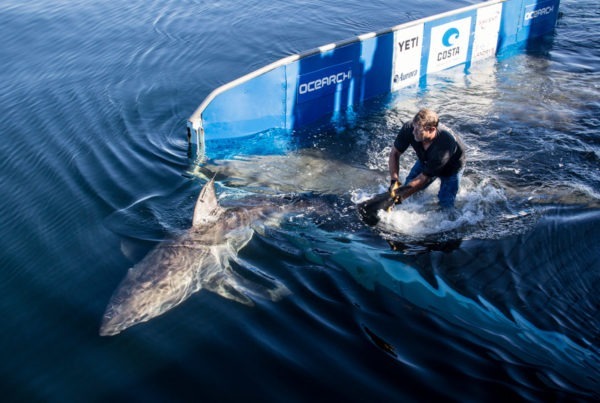 The challenge was finding reliable access to a live white shark in order to gather as much data as possible by equipping them with more precise tracking devices. The SPOT tags we use provide real-time data on their migrations. We kicked off our work in the Northwest Atlantic in Cape Cod, Massachusetts in 2012 & 2013 where we tagged a number of sharks including Mary Lee and Katharine. These first tagged sharks started giving us our first real-time understanding of just how far, and wide, white sharks travel in the Northwest Atlantic. For example, right after we tagged her, we followed Mary Lee’s tracks down to Jacksonville, Florida where we tagged Lydia. Then Lydia took us on a journey from Jacksonville all the way up to Newfoundland and all the way across the Mid Atlantic Ridge. 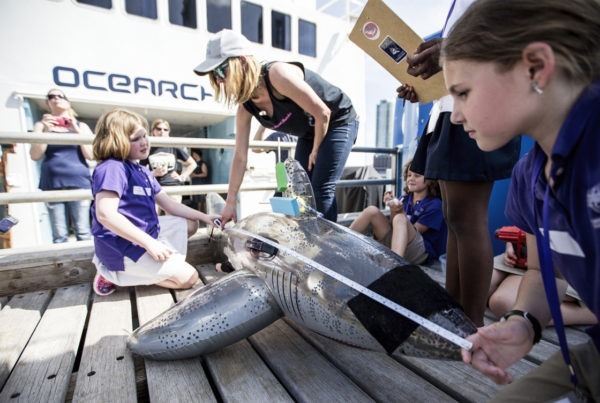 The confirmation of a white shark nursery off Long Island, New York – Collaborating scientists followed the tracks of large mature females to the New York Bight. Two expeditions in the region resulted in the tagging of several young-of-year and juvenile pups which helped confirm that in fact, white sharks were giving birth just off the coast of the country’s biggest city. This was an important confirmation because nurseries are where shark pups are the most vulnerable and need the most protection. The identification of a hotspot off Nova Scotia’s South Shore – Tracks from sharks like Hilton and Lydia revealed that Nova Scotia’s South Shore might have some importance to white sharks. During an expedition to Nova Scotia in the fall of 2018, our team was able to tag 7 adult and sub-adult sharks, thus confirming that there was more shark activity off the province than previously believed. We hope to return to this site to build off of what we already know, and to tag more sharks and understand how exactly the white sharks are utilizing this particular area. The Identification of a shared foraging area off the Southeast Coast – Years of tracking data revealed that large sharks migrated from separate fall aggregation sites to a shared area between Cape Canaveral, Florida and Cape Hatteras, North Carolina. This zone tucked between the coast and Gulf Stream is what we now refer to as the North Atlantic Shared Foraging Area (NASFA). Our team is going to this region in a few weeks to explore this region further during Expedition NASFA. 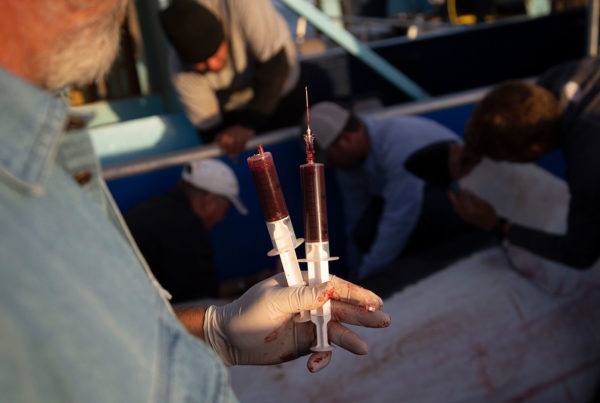 These discoveries and confirmations are important in understanding the life history of the white shark. Every shark carries a piece of the puzzle. Mary Lee brought us to Lydia, Lydia took us to the mid-Atlantic ridge and to NASFA where we tagged Hilton. 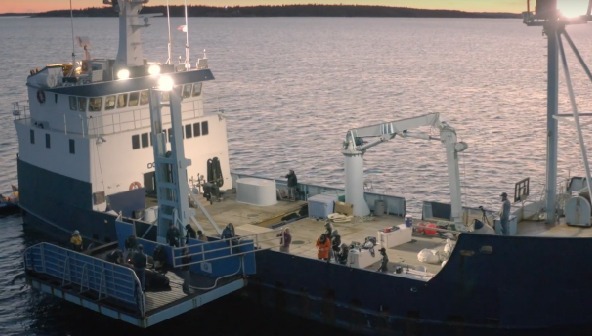 Hilton took us to Newfoundland where we discovered a hotspot and tagged 7 white sharks. By building off the information we’ve been able to gather, we’re able to reveal new pieces of the puzzle. The best part of this project is that we’re able to share this with you. You’re able to follow the sharks on the OCEARCH Tracker and uncover the pieces of the puzzle with us, in real-time. Once all of the pieces are in place and we understand where the sharks are going and what they are doing there, the right policies can be developed to protect the most important sites.